Leave the raisins. Take the chocolate. It wasn't all that long ago that Gut Check was donning our finest Disney princess Star Wars character drag outfit and joining the swarms of greedy American children on the hallowed Halloween quest for candy. So we remember well the post-trick-or-treat ritual of sorting the bounty into two piles, i.e., Good Stuff and Crap. Then we'd head back out and t.p. all the houses where we'd been handed lame candy. We considered the act to be a hint to the clueless to maybe bust out the Snickers next year instead of those execrable homemade popcorn balls. 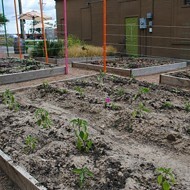 A community service, if you will. Now we're on the other side of the door, trick-or-treatily speaking, and we're also working from a position of strength when it comes to stamping out Halloween-candy imbecility. 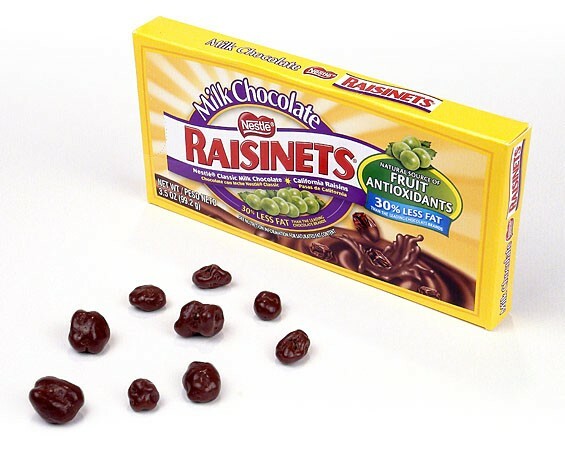 Oh, Raisinets, your thin coating of sweet chocolate turns raisins from simple dried fruit to Halloween pleasu -- Wait. What the hell is this? Plain ol' raisins? For Halloween? This ain't your schoolyard lunchbox, so raisins can stay home along with the carrot sticks and pudding packs. If fruit of any kind winds up in our candy bag on Halloween, it better be drenched in chocolate or caramel or in the form of artificially flavored gummy things. Raisins simply fall short. It's a nice gesture and all, but there's plenty of time throughout the rest of the year to worry about vitamins and antioxidants. 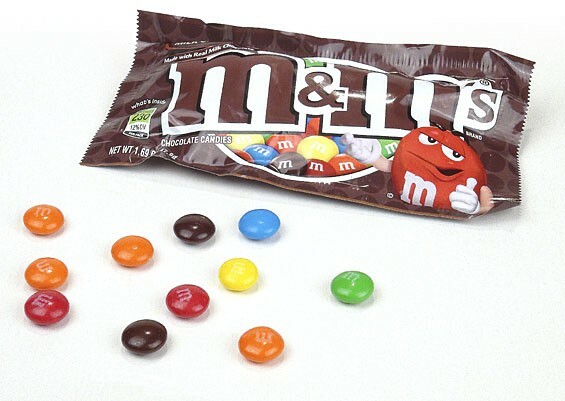 Classic, reliable M&Ms. Are they anyone's #1 favorite candy? Maybe not. But no chocolate lover would turn up her nose at a little brown/yellow bag of the oft-forgotten spheres of happiness. It seems like everyone has a different way of eating M&Ms, whether it's dividing them into color categories or just taking a handful. M&Ms always play it safe, keeping things normal with varieties like peanut and pretzel centers, or just the original plain chocolate. Keep playing it safe, M&Ms, we like what you're doing. Check out the rest of our Best and Worst Halloween Candy Countdown.